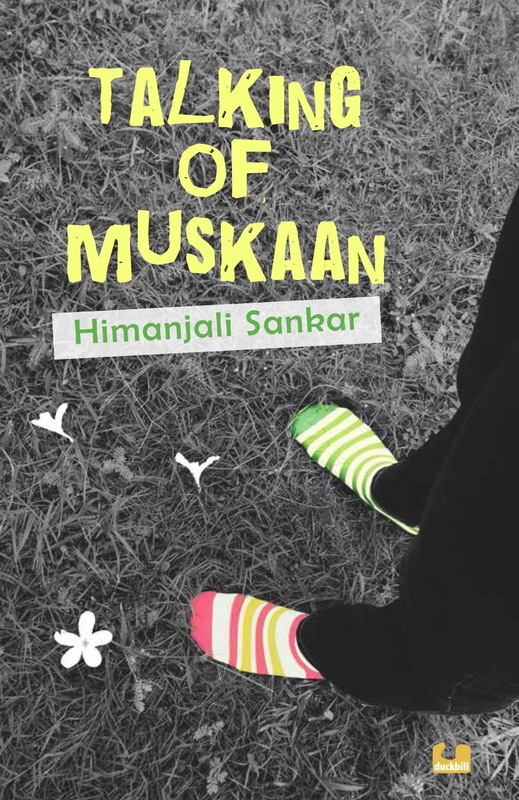 The blurb tells you that Muskaan tried to kill herself - a topic that many parents felt was not appropriate for teenagers a couple of years ago. Since then, we’ve all heard of precious young lives being lost. Here’s hoping suicide isn’t a taboo subject anymore. These are difficult conversations, but we do need to have them. The book cuts to the chase, opening with the chilling sentence - “Muskaan hadn’t come to school.” Very effective. The first chapter introduces the reader to the cast (Muskaan’s friends - Aaliya, Subhojoy, Rashika, Srinjini, Divya and Prateek) and raises perturbing questions - Why did Aaliya think she was responsible for Muskaan attempting suicide? What did Subhojoy know? - compelling you to read on. Before it gets any bleaker, the author deftly manoeuvres a flashback - the next chapter, written in Aaliya’s voice is a hilarious waxing episode from five months ago. Aaliya’s wry sense of humour makes it impossible to remain morose. Again, there are the questions and clues that keep you reading - why is Muskaan so mutinous about doing anything typically girly? The narrative progresses in Prateek’s voice who is rich, hot and seems like a spoilt brat. We get to know that he asked Muskaan out but got rejected outright. The baton is then handed over to Subhojoy, who, in stark contrast to Prateek, lives in a one-room chawl and is extremely conscientious. He has to be; for him, the scholarship is everything. An excellent decision to tell the story through these three alternating voices - the narrative does not get monotonous, and it gets us into the heads of very different characters in terms of gender, backgrounds, motivations. It’s difficult to flit in and out of these distinct voices, but Himanjali Sankar does it admirably. Subhojoy in particular, with his earnestness and underdog status, will have readers rooting for him. Muskaan becomes close to Subhojoy, and through him we get to know what she is brooding over. Aaliya has an uncanny knack of reading people, and from her we get to know about all the others too. Not knowing Muskaan or Aaliya entirely gets the reader thinking; it's good to have questions one doesn't know the answers to, problems one can ponder over and in the process unravel some knotty issues of one's own. The narrative proceeds at a comfortable pace. Once the homosexuality part comes out in the open, one sort of knows where the story is going, but being so invested in the characters, you can’t help but keep turning the pages. There are funny bits at just the right places, yet not once does the humour appear forced or self-conscious. Neither does the talk of sexuality sound out of place. Prateek’s relationship with Rashika and his troubles with the mysterious hacker, Subhojoy’s focus on academics and his interest in Rashika, Aaliya’s obsession with her dance performance and her insecurities about her own sexuality - the subplots keep the reader engaged. Apart from heavy-duty stuff like class differences, homosexuality, suicide, the book reflects the everyday situations and anxieties today’s teens face. As a parent who has been dreading the adolescent years, and who has observed the current lot of teenagers from afar wondering which planet they’re from, it was reassuring to see that deep down they’re not very different from what we ourselves were as teens. The thoughtfully designed cover, chapter heads and the quotes at the beginning of each — all lovely touches. Valuable because it opens up conversations on poverty, sexuality and suicide in an imaginative way; exposes sheltered teens to different ways of living and gets readers to examine their own prejudices. The conversations with the parents are telling and will get adults to introspect too; Prateek gets his attitude from his parents, and Aaliya is influenced by hers. Don’t our children absorb our best and our worst? Talking of Muskaan is on the Crossword Book Award shortlist.